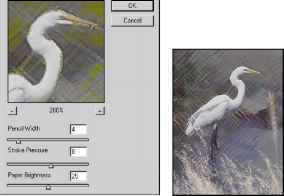 To complete the composite of the marsh grasses and Egret image, you'll isolate the egret as you apply a filter effect to the image background. 1 In the Layers palette, select the Background. 2 In the Channels palette, drag the Egret channel to the Load Channel As Selection button (o) at the bottom of the palette. 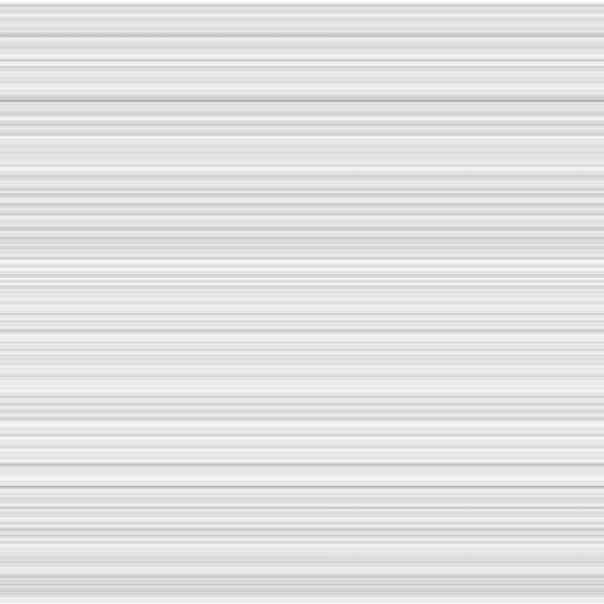 This loads the channel onto the image. Next, you'll invert the selection so that the egret is protected and you can work on the background. 3 Choose Select > Inverse. The previous selection (the egret) is protected, and the background is selected. You can now apply changes to the background without worrying about the egret. 4 Click the Layers palette tab and make sure that the background layer is selected. Then choose Filter > Artistic > Colored Pencil. Experiment with the sliders to evaluate the changes before you apply the filter. Preview different areas of the background by dragging the image in the preview window of the Colored Pencil filter dialog box. This preview option is available with all filters. 5 Click OK when you're satisfied with the Colored Pencil settings. The filter is applied to the background selection. You can experiment with other filter effects for the background. Choose Edit > Undo to undo your last performed operation. 6 Choose Select > Deselect to deselect everything. Before you save your file, you'll flatten your image to reduce the file size. Make sure that you are satisfied with the image before you go on to the next step, because you won't be able to make corrections to the separate layers after the image is flattened. 7 Choose Layer > Flatten Image. 8 Choose File > Save.